Cairo is planning to strike at Daesh (ISIS) militants concentrated in Egypt's sparsely populated Sinai Peninsula, which borders Israel from the southwest. 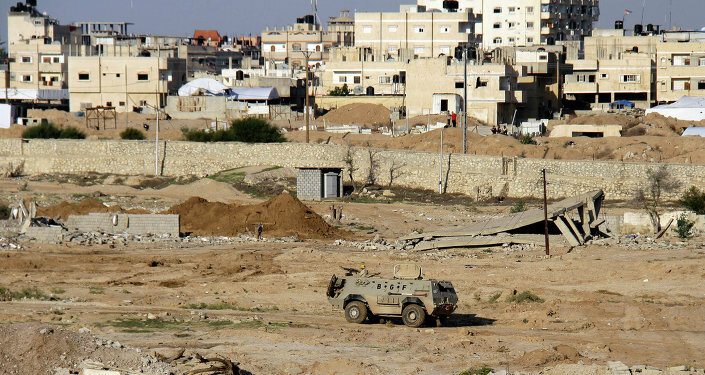 Haaretz has reported that the Egyptian military has informed Tel Aviv about its buildup, with troop concentrations reported on the Egyptian side of the border near Rafah in the Gaza Strip. Daesh's Egyptian affiliate, known as Wilayat Sinai, has previously stolen Egyptian military equipment including armored vehicles and anti-tank missiles, plotted attacks against Egyptian forces, military outposts and planted roadside bombs in the area. The group is also believed to be responsible for the downing of a Russian passenger liner in 2015. On Friday, a senior Israeli military official told the Jerusalem Post that the terrorists may carry out attacks against Israel sometime in the next six months. Egypt has been stepping up its operations against Wilayat Sinai in recent months as Daesh fighters continue to flee Syria and Iraq and set up shop in other countries. Egypt's offensive has been coordinated with the Israeli military. Israeli Prime Minister Benjamin Netanyahu has praised Israeli-Egyptian security cooperation in recent years, once saying that without it, "we would have been overflowed by thousands of [Daesh] fighters from Sinai."